When you see a white, rounded object in a bird’s nest, your minds tends to assume that it is an egg. Of course, when it is the middle of the winter and the temperature is well below the freezing point, you know that it can’t be an egg (unless it’s from a snowbird, but I think they have already migrated south to the beaches of Florida). I came across this little nest as I was making my way through the thorny vines at the edge of one of the ponds at my local marshland park. I still have trouble identifying many birds and I haven’t the slightest clue about what kind of bird would use a nest like this. 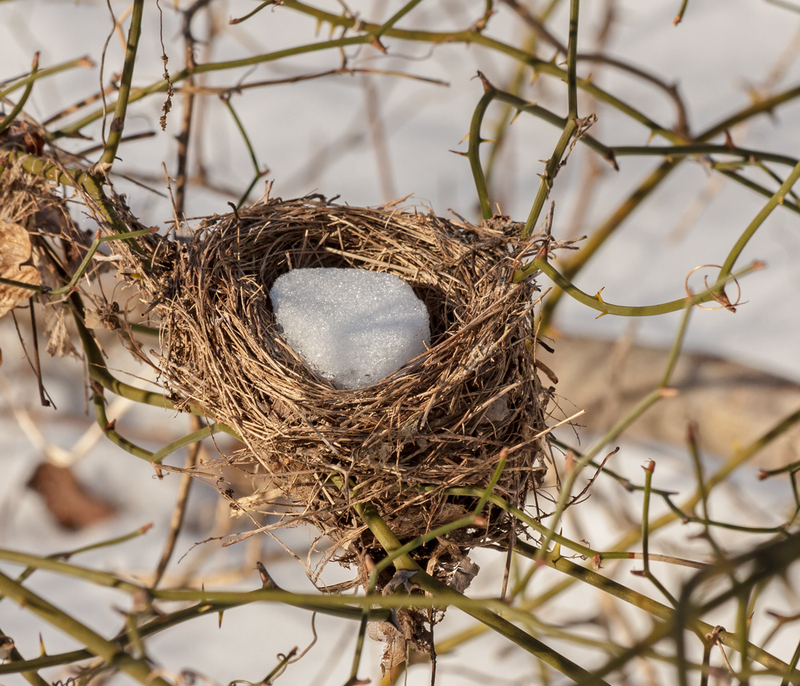 Still, this nest caught my eye as a kind of visual reminder that spring will arrive in just a few months, full of the promise of new life.